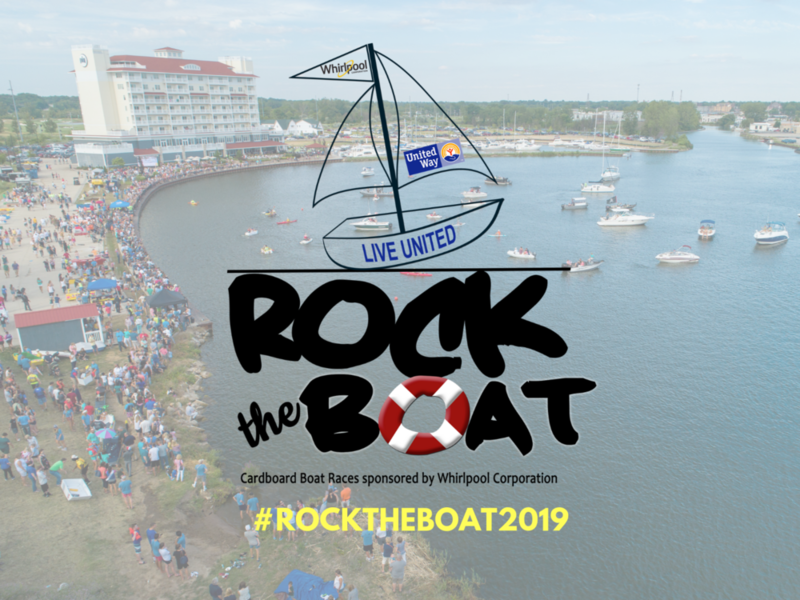 The fourth annual ‘Rock the Boat’ cardboard boat races will be hosted by Whirlpool Corporation on Thursday, July 18th at the Inn at Harbor Shores, with proceeds benefiting United Way of Southwest Michigan. The life-size boats are made of cardboard, duct tape and polyurethane, and powered entirely by human paddling. The event is open to the public and there will be food and t-shirts available for sale. At this summer’s event, the People’s Choice Award will be presented to the team that raises the most money for UNITED WAY OF SOUTHWEST MICHIGAN leading up the race. The winner takes home the new People’s Choice Traveling Trophy AND will present a $2500 check to one of United Way's funded partners of their choice! Any United Way Funded Partner that signs up will have the choice to take home the $2500 for themselves or donate it. CLICK HERE TO VIEW THE TEAMS REGISTERED! After you register your vessel, you will be provided your own fundraising portal where you can get started! SO FAR, SO GOOD! Here’s who’s boating! CLICK HERE TO BE NEXT! Rock the Boat has become one of the fastest growing events in Southwest Michigan. Launching in 2016 at The Inn at Harbor Shores, RTB saw 5 cardboard boats compete in its inaugural year. Last summer, in its 3rd run, the event put 64 boats into the water! It is now one of the biggest cardboard boat competitions in the Midwest. The number of spectators has grown exponentially as well, with more than 3,000 people making their way down to the marina last summer to join in on the fun. RTB offers our sponsors tremendous visibility and brand awareness. Through radio advertisements and social media posts to recognition on the shoreline jumbotron, there are countless opportunities for our event sponsors to see a return on their investment. View the sponsorship levels and benefits. CLICK HERE TO REGISTER YOUR BOAT! Want to receive email alerts about the event? Sign up here!